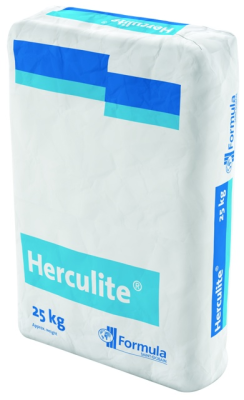 Herculite Hardcoat Plaster - Industrial Plasters Ltd.
Herculite Hardcoat is a favourite of scagliola craftsmen because it is slow setting making it the ideal material, according to its devotees! Herculite Hardcoat is manufactured to provides a hard surface finish on cork or expanded polystyrene slabs for use in cold storage rooms, refrigeration chambers and in the lagging of ducts in heating installations. Its gradual setting property allows for ample opportunity to bring the plaster to a smooth surface finish. The plaster is non combustible when tested in accordance with BS 476:Part 4:1970 and therefore satisfies the Class 0 requirement of National Building Regulations.